Boeing has decided to temporarily suspend its entire fleet of 737 MAX planes "out of an abundance of caution and in order to reassure the flying public of the aircraft's safety." The FAA reversed course on Wednesday and grounded the jet after evidence emerged showing a flight that crashed Sunday in Ethiopia may have experienced the same problem as a plane that went down five months ago off Indonesia. Analysts say the initial impact of the grounded Boeing (NYSE:BA) jets will be contained, but may escalate if the fleet is not permitted to fly for a longer period. 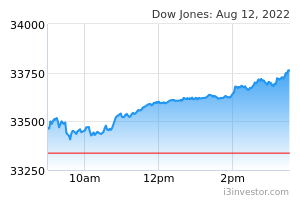 There's not much movement from U.S. stock index futures this morning ahead of another fresh round of economic data. Weekly jobless claims and import/export prices for February will be released at 8:30 a.m. ET, while new home sales for January will follow at 10 a.m. ET. On the trade front, President Trump said he was in no rush to complete a deal with China and insisted that any pact include protection for intellectual property. U.K. politicians vote for a third day on whether to delay Brexit after they rejected a no-deal split from the EU. The news propelled the pound higher by more than 2%, but the currency has now fallen back 0.6% to $1.3262 as European Council President Donald Tusk said he will push for a "long extension" if Britain needs it to "rethink its Brexit strategy." There's still no consensus about how long an extension should be, with diplomats having discussed periods ranging from three to 21 months. The Shanghai Composite fell 1.2% overnight as China's industrial output grew 5.3% in the first two months of 2019, the slowest pace of expansion in 17 years. Investments picked up pace, however, as the government fast-tracked more road and rail projects, while retail sales rose 8.2%. China generally combines January and February activity data in an attempt to smooth distortions created by the long Lunar New Year holidays. The U.S. aims to slash Iran's crude exports by about 20% to below 1M barrels per day from May to choke off Tehran’s main source of revenue, sources told Reuters. Sanctions waivers for most countries purchasing Iranian crude, including the biggest buyers China and India, would be renewed in exchange for pledges to cut combined imports. OPEC is also set to publish its monthly update on demand forecasts and production. GE CEO Larry Culp has a chance to attract more investors today by providing greater clarity on the conglomerate's strategy when he and other GE leaders lay out their 2019 financial forecast. While Culp has cracked open GE's books to more scrutiny, shaken up its board and stationed new leaders in troubled divisions like power and insurance, he still faces many skeptics. Of 19 analysts who cover GE, nine rate the stock at Hold or Strong Sell, while 10 rate it Buy or Strong Buy, according to Refinitiv. Federal prosecutors are conducting a criminal investigation into data deals Facebook (NASDAQ:FB) struck with some of the world’s largest tech companies as the social media giant seeks to rebound from a year of scandal and setbacks, NYT reports. A grand jury in New York has subpoenaed records from at least two prominent makers of smartphones and other devices that gained broad access to the personal information of hundreds of millions of Facebook users. FB -2.3% premarket. Meanwhile, Instagram is back up after suffering a partial outage, but Facebook's (FB) app still seems to be down for some users for over 17 hours. While the matter was not related to a distributed denial of service, or DDoS attack, Facebook informed users it was working to resolve the issue as soon as possible. The company also told Bloomberg it was investigating the "possibility of refunds for advertisers." Bringing some life to the sluggish tablet market, Walmart (NYSE:WMT) is planning to introduce an inexpensive, kid-friendly tablet computer under its ONN store brand. The device, which will be made by a Chinese supplier and runs on Android, is part of a broader redesign of Walmart's electronics department. It also opens up the door to more tablets from the the retail giant, assuming the effort ends up being successful. A 5% pay raise (to $18.4M) Wells Fargo (NYSE:WFC) gave CEO Tim Sloan for 2018 has prompted the Fed to release an unusual statement that it does not sign off on executive pay. "The Federal Reserve does not approve pay packages. We expect boards of directors to hold management accountable," a spokesperson declared. Wells Fargo shares dropped 25% in 2018, underperforming its biggest rivals. Johnson & Johnson -1.5% premarket after a California jury awarded $29M to a woman who said that asbestos in the company's talcum-powder-based products caused her cancer. The verdict marks the latest defeat for the healthcare conglomerate facing more than 13,000 talc-related lawsuits nationwide. J&J (NYSE:JNJ) said it would appeal, citing "serious procedural and evidentiary errors." Fiat Chrysler is recalling nearly 865,000 vehicles that do not meet U.S. emissions standards, after settling claims that it manufactured cars that emitted more pollution than legally allowed. Fiat (NYSE:FCAU) said testing of vehicles on the road showed a deterioration in the performance of the catalytic converters, but declined to estimate the cost of the recall, only to say it had accounted for the costs in Q4 of 2018. A group of investors led by SoftBank (OTCPK:SFTBY) and Toyota (NYSE:TM) is reportedly in talks to invest $1B or more into Uber's (UBER) self-driving vehicle division, which would value the unit at $5B-$10B. The investment would provide a cash injection for the money-losing startup and could help underscore Uber's value as the ride-hailing firm prepares for its stock market debut. Tesla will unveil its hotly anticipated crossover tonight, called the Model Y, during a special event that can be live-streamed starting at 8 p.m. PT. While the Model 3 has tested Tesla's (NASDAQ:TSLA) mettle to build an affordable electric car, it's targeting a broader range of buyers with an SUV, the fastest-growing vehicle segment in the U.S. and China. "The question is can they get it there, can it be affordable, can you get volume - and I would question all of those things," said Jeff Schuster, an analyst at LMC Automotive. Cloudera (NYSE:CLDR) -14.1% AH on Q4 miss, downside guidance. In Asia, Japan flat. Hong Kong +0.2%. China -1.2%. India flat. In Europe, at midday, London +0.5%. Paris +0.4%. Frankfurt flat. Futures at 6:20, Dow flat. S&P flat. Nasdaq +0.1%. Crude +0.1% to $58.29. Gold -0.8% to $1298.30. Bitcoin +0.4% to $3851.